Orange Comrades – claim your free film and win some books! This week, the lovely people at Orange are giving away a free itunes download to their customers of ‘Che: Part One’ starring Benicio Del Toro. 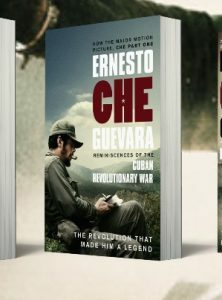 The film is based on Che Guevara’s ‘Reminiscences of the Cuban Revolutionary War’, publsihed by 4th Estate. We also publish Che Guevara’s travel diary ‘The Motorcycle Diaries’, documenting his escapades around South America as a twenty-three year old, and ‘The Bolivian Diary’, which was discovered after his capture and execution by the CIA backed Bolivian Army. 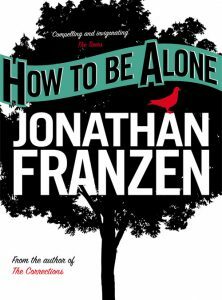 Win copies of Jonathan Franzen’s books! Hello lovely readers and welcome back to 4thestate.co.uk! Because I am a kind and benevolent website editor, I am giving away some more books. 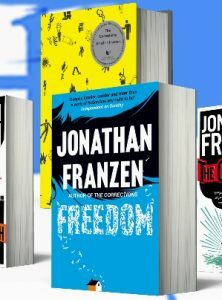 As it’s Jonathan Franzen season on the website (to celebrate the upcoming release of Freedom in paperback) I’m going to give one lucky winner one copy of each of Jonathan’s books. So that’s a paperback copy of: The Discomfort Zone, The Twenty-Seventh City, How to be Alone, Strong Motion, The Corrections and Freedom. But wait – what’s that? Yes, the yellow book in the picture? Well, that would be a limited edition hardback of The Corrections we produced for our 25th birthday celebrations in 2009. And yes, I’m throwing one of those in too. See, kind benevolence. 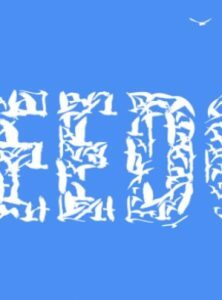 For those of you who would prefer to kick back and listen to an extract of ‘Freedom’, free from issuu widgety-things and the complications of downloading PDFs, simply click the link below and hear the first five minutes of the novel. Simples. 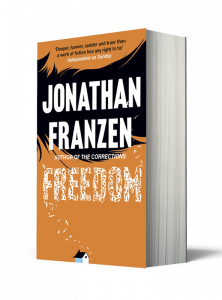 As we are approaching the paperback publication of ‘Freedom’ by Jonathan Franzen (you might have noticed we’ve gone a little Franzen themed on 4thestate.co.uk) I thought I’d give you all another treat. Using the issuu widgety-thing below (yes, that is the proper technical term…) you can either read ‘A Reader in Exile’ online, or click through to our issuu channel and download the PDF for your e-reader, computer, iphone or even to print it out (retro!). The novel of the year – in paperback! 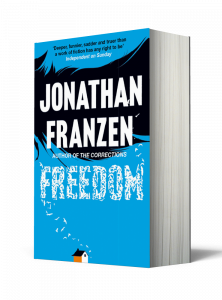 One year on and after more column inches than I could ever hope to count, 4th Estate are publishing Jonathan Franzen’s critically acclaimed ‘Freedom’ in paperback. Actually, without wanting to blow our own trumpet too much, critically acclaimed doesn’t quite cover it. The praise for ‘Freedom’ was off the scale. On the review pages, on amazon, on twitter, in bookstores – everywhere you went last autumn someone was talking about this fantastic novel. This animation was created by Eva Vestmann, a brilliant designer who has been working with us for the past few months. 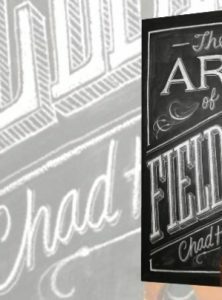 ‘The Art of Fielding’ is shaping up to be a pretty big deal this autumn if the advanced reviews are anything to go by. Little, Brown will be publishing in the US in hardback next month and 4th Estate will be releasing our e-book edition at the same time, with the UK hardback following in January. Why, you might ask, are we delaying our hardback until next year but releasing the e-book in September? September is the start of Christmas for publishers and booksellers and books published in September and October make up the bulk of the new titles that will be on offer and price promoted over the Christmas period. It’s that time of year again when publishers up and down the land get excited about being on the Booker Long-list. The booker prize, as I’m sure you know, is a Pretty Big Deal. The winning books almost always go on to be huge commercial successes. 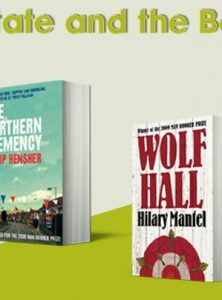 In recent years, if memory serves from the research I did when our own ‘Wolf Hall’ won, paperback editions go on to sell over 80,000 copies (at the least) and over a million in the case of ‘The Life of Pi’.